The Pilanesberg National Park, which covers some 55 000 hectare, is the fourth largest in southern Africa. This malaria-free park is perched on the eroded vestiges of an alkaline volcanic crater - one of only three such craters in the world. The Pilanesberg National Park is not as big as the more famous Kruger national park and this is one of the big attractions of the park. 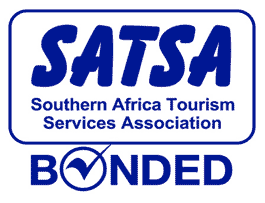 Exclusive Use Self Catering Lodge. 4 Chalets. Sleeps Max of 8 Adults and 2 children. 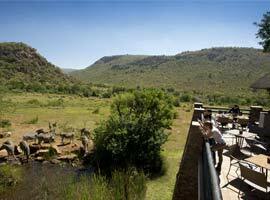 Situated in the heart of the Black Rhino Game Reserve within the Pilanesberg National Park, the lodge is perfectly designed to suit a group of friends or an extended family wanting to get away by themselves. 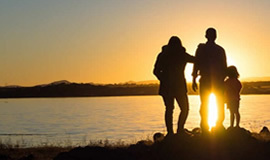 It is also ideal for those families with young children who may be concerned about taking their children to a safari lodge with other guests. Design your own itinerary to suit yourselves, a great Bush holiday adventure awaits! 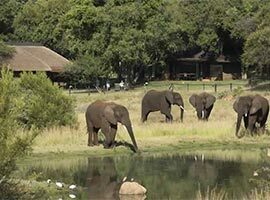 The lodge is well known for it's 180 m long tunnel that leads to a hide that overlooks a waterhole. A photographers dream location. 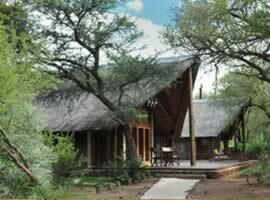 Kwa Maritane is also known for its great cuisine and the superb hospitality of the staff. 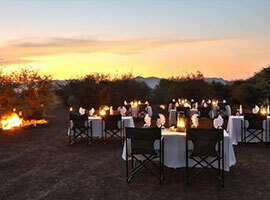 There are lots of bush activities to enjoy including game drives to view the big five and boma barbeque's. Kwa Maritane has a variety of room types to suit all needs including those of couple's, families and corporates looking for conferencing. 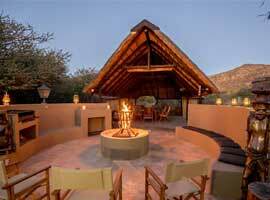 The lodge lies in an exclusive use zone in the south-western portion of the Pilanesberg Game Reserve. This is a luxury and stylish "bush hotel" with lots of facilities including a fantastic Amani Spa, making the lodge is an ideal destination for a Spa breakaway for couples as well as friends. The unique horseshoe shape of the lodge ensures all rooms have a great view of the watering hole where hippos, elephants and lions can be seen..
Bakubung has an outdoor pool and a bar/lounge. Great introduction to the bush for children with a fun Junior Ranger's programme. Buffet breakfast and game drive included with free WiFi in public areas available. Additionally, a poolside bar, a coffee shop/café and outdoor tennis courts are on-site. Undoubtably the most upmarket and possibly the most romantic of the Pilanesberg lodges, the luxurious rooms are set high on a hilltop with great views of the waterhole below. A small intimite lodge, you need to be farely fit to climb the stairs to the top but once you get there you can enjoy the maginficent views below from a, depending on room type, private plunge pool on your deck or sunken bath in your room. 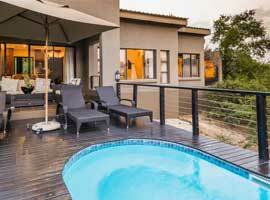 The luxury suites give guests a private retreat that open up onto a patio overlooking the surrounding bush. It is not uncommon to view buck or even elephant from the comfort of your deck. The en-suite bathrooms lead to an outdoor shower and high thatched roofs and large windows give the rooms an airy feel. 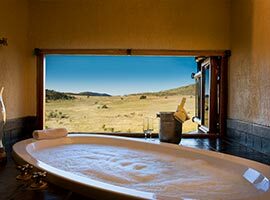 The rooms all have tea and coffee making facilities and TV's..
Rates include : 2 game drives daily; All meals. Finfoot is NOT in the Pilanesberg Game Reserve but is 20 to 30 min drive away. It is not a big 5 reserve but has so much to offer in the way of family holidays and as a relaxing getaway. With 8km of pristine water frontage on the 3500 hectare reserve, the reserve is able to offer unforgettable experiences.